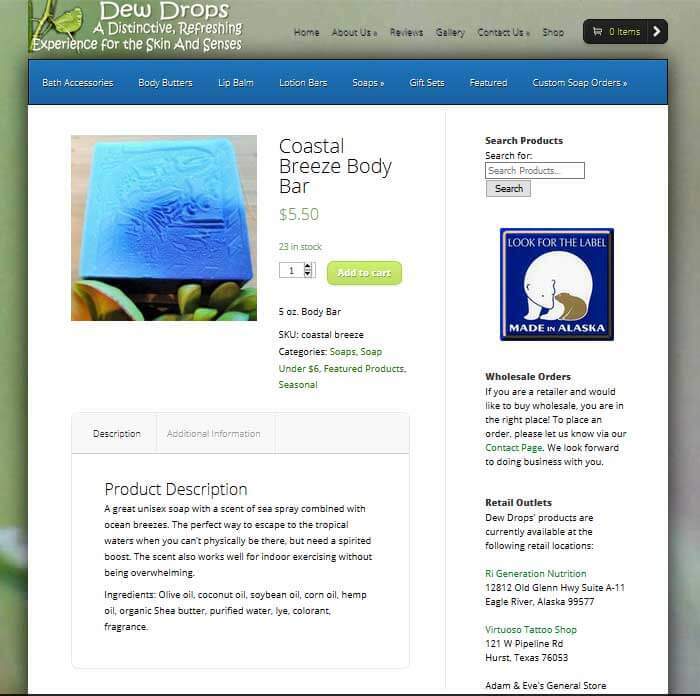 Dew Drops Soap, based in Eagle River, AK, makes handmade soaps, lip balm, lotions, and body butter. 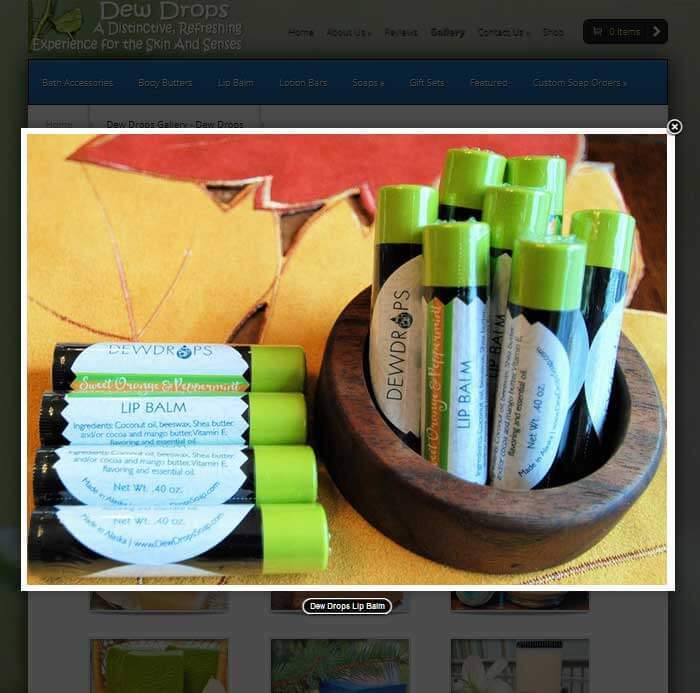 They provide online sales to the public and are available in select brick and mortar stores. 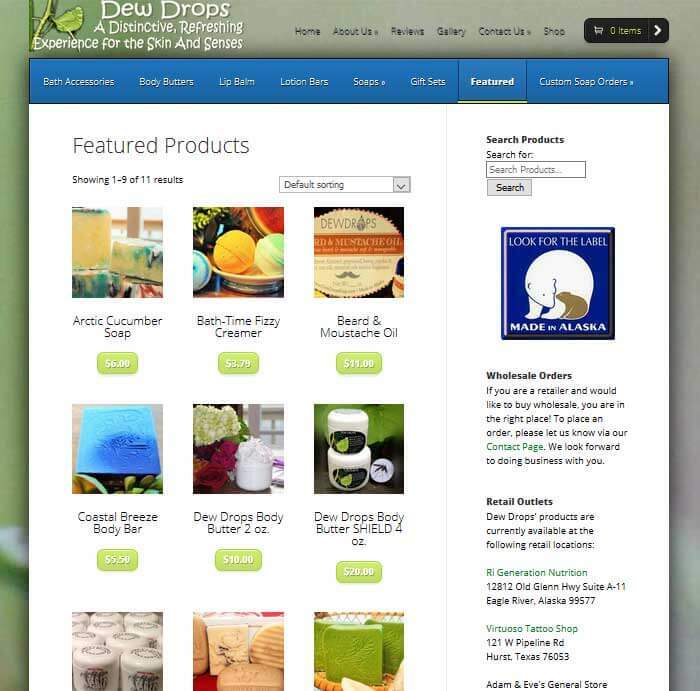 Dew Drops needed a WordPress site that would showcase their various offerings and sell them to the public. They also wanted a way for potential wholesalers to request the ability to carry their line of products. Gonzo Strategies created a site that accomplished all of these things. 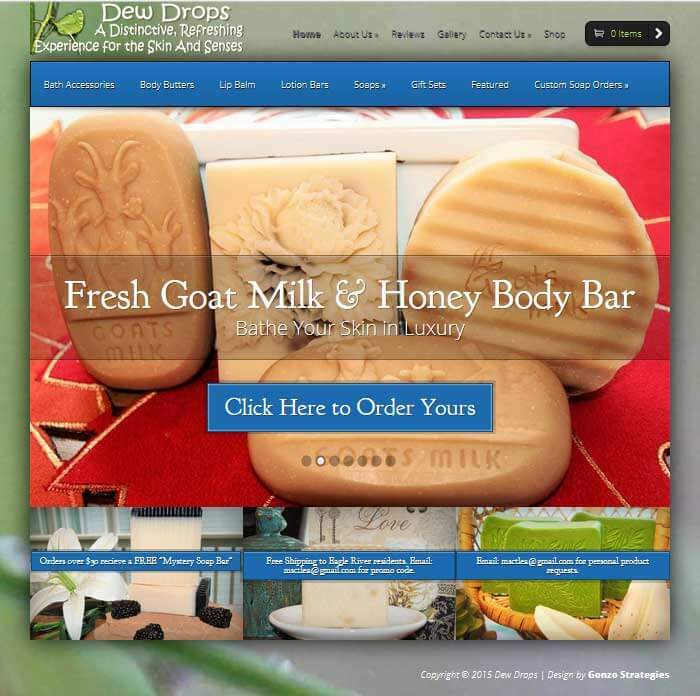 We also feature their seasonal items on the home page, and offer end-users the ability to easily search for products based on category, product name, price, and popularity.